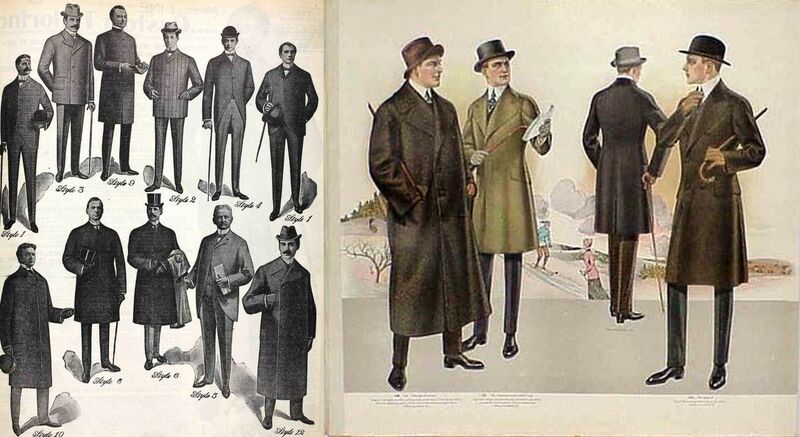 Most of the time that Ned and Rafe are racketing about Londinium, they will wear the sorts of clothing typical for a Victorian gentleman of the period: to our eyes, rather formal suits in darker hues, befitting the sober seriousness of the age. The images above and below give you an idea of what they might wear in daytime. You’ll notice that on the whole, hats were de rigueur. A gentleman took off his hat in the presence of a lady or in church, but always wore one when out and about. 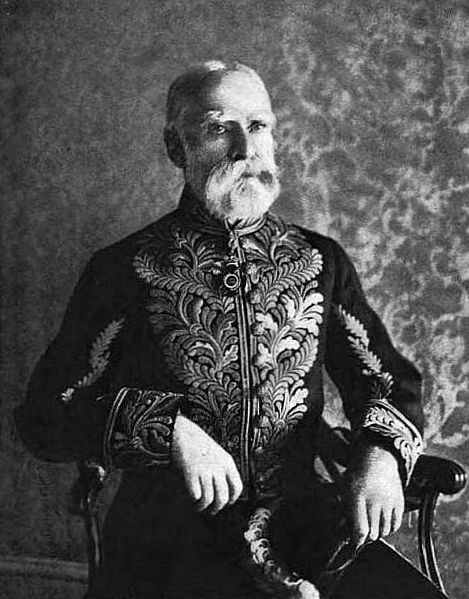 Evening wear, too, was very formal and similarly bound about by rules. The following images are from the Black Tie Guide Site – an invaluable resource for anyone writing period pieces. 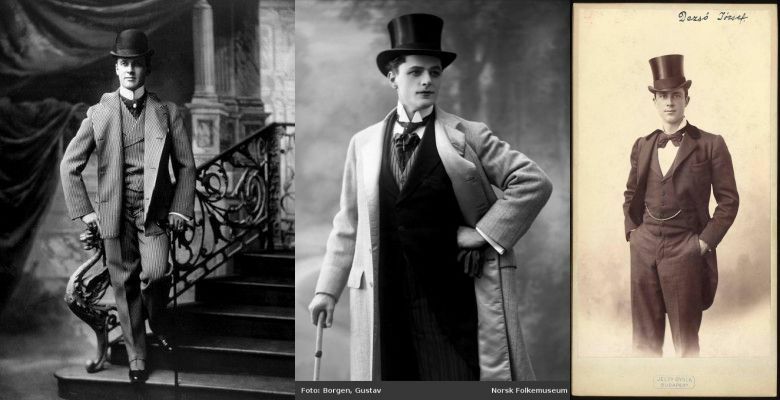 The link takes you to the site’s historical review of evening wear. It’s a fascinating read! But – and it’s a biggish but! 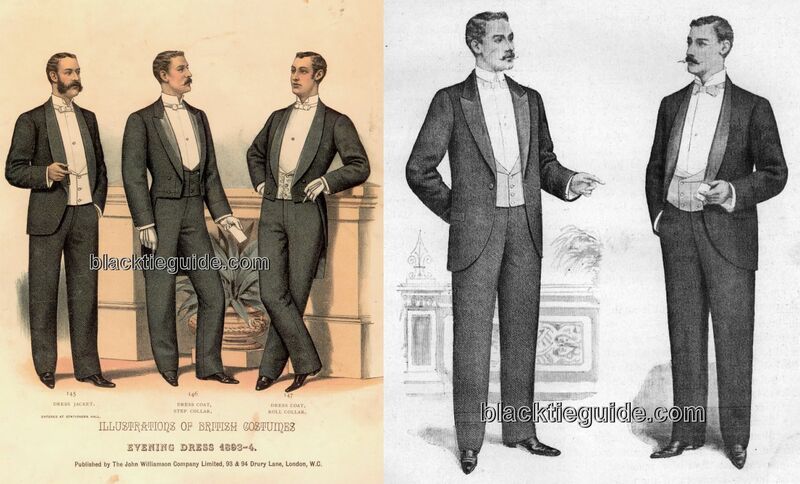 – House Dress occasions call for a very different set of clothing; dress that marks the wearer not just as a gentleman, but one of rank within his House. 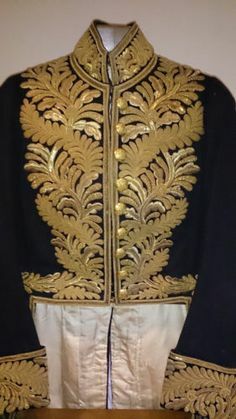 So, for special occasions, such as the Stravaigor-Plumassier wedding mentioned in The Gilded Scarab, the House men will parading around like peacocks in a ‘uniform’ that is derived from British Court Dress. Court Dress is an anachronism in action. Or, to put it another way, British kings and queens were so enamoured of their regal past that they had attendees at court functions (or ambassadors or governors-general) wearing clothes heavily based on 18-century and Regency fashion. As an example, ladies being presented at court in Jane Austen’s day, would go in ‘hoops and feathers’–that is, the fashions of the 1760s, with massively panniered dresses (the sort that meant you couldn’t walk through a doorway except sideways) made from heavy, richly ornate fabrics, tiaras and feathered headdresses that towered a couple of feet above the top of the head. That tradition didn’t die out until the 1820s and even then rich fabrics, tiaras and feathers remained the order of the day and only the hoops went. Our royals don’t do change very well. One government department I know of keeps a mannequin in a glass case outside their Permanent Secretary’s door, dressed in a predecessor’s court dress of about 1925. In fact, the mannequin’s wearing a bit of a jumble – his ornate, embroidered coat from his court dress coupled with the tailored, military-style black trousers from an afternoon levee uniform. But you get the idea. Something ornate and military in style. 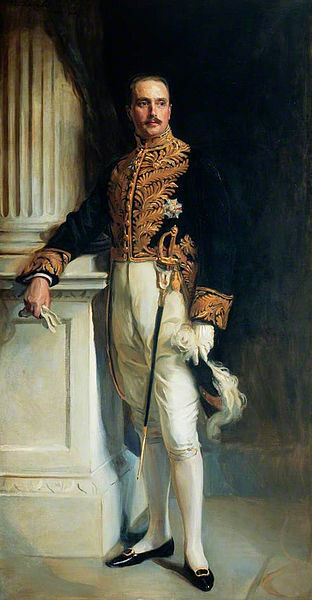 The Wiki page explains court dress and its history in far more detail than I intend to here. But this uniform is the basis for the House Dress that Ned (and more rarely, Rafe) has to wear to very official functions. Rafe’s version, since he is a member of a Minor House, is less elaborately decorated, but still has that slightly decadent, raffish, Regency look about it. During the day, I’ve allowed Ned the social solecism of wearing it with boots, rather than silk stockings and buckled shoes, and also toned down the amount of gilt embroidery. But if ever you want to imagine Ned at an evening function in full House regalia, Sir Walter makes a pretty effective stand-in.